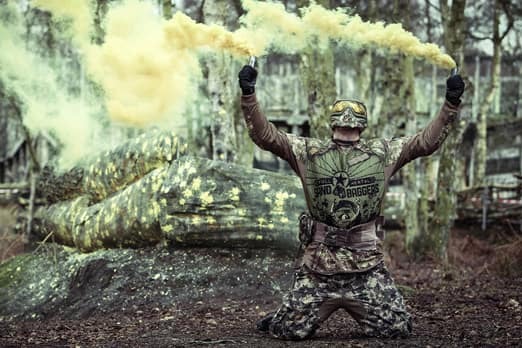 Paintballing for kids has evolved too! 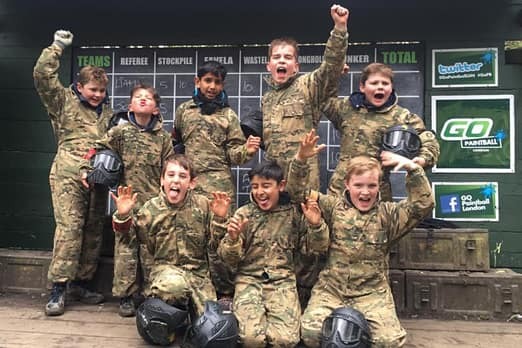 Using the best age-appropriate equipment and run by the former UK #1 Paintball player, GO Paintball London pride ourselves on offering the ultimate Mini Paintballing Birthday parties for 8–11 year olds! 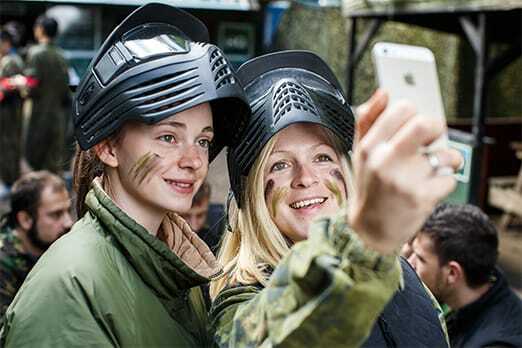 An all-inclusive Paintballing Party: 12pm–2.30pm. ​Full reloads for all players, every set of games. No extra costs! Add on players for only £30 each. ​All players get a 9″ Pizza Hut pizza and a drink each. 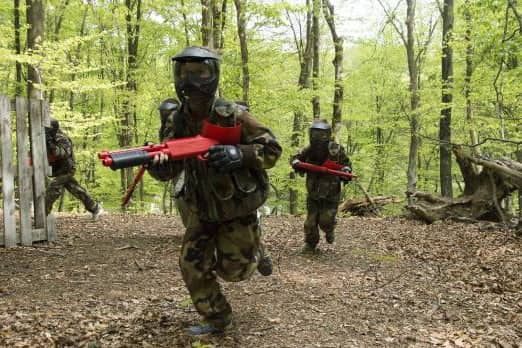 ​Age exclusive meaning the best Paintball games for kids possible! New ‘low impact’ Paintball guns & kids full-head goggles systems. Sniper Rifles and Riot Shields can be found by players to help turn defeat into victory! As a ‘Squad Leader’, the Birthday Girl/Boy will receive a free dog tag to keep. We also take ‘Squad Pictures’ for parents to share on Facebook. ​The best, professionally trained events staff to host your party safely and to the highest standard. 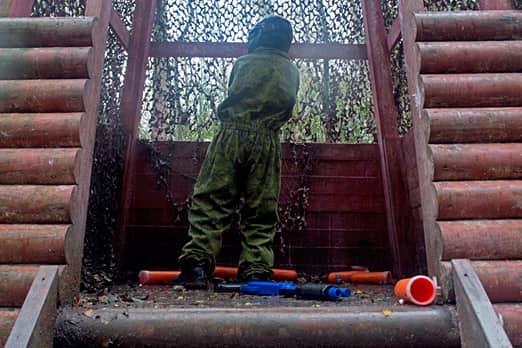 Never before has Paintballing been so accessible, inclusive, fun and safe for younger kids. Utilising brand new ‘Low impact’ Kids Paintballing guns that are designed specifically for this age group, we launched our Mini Paintball activity as a totally separate kids Paintballing experience to normal Paintballing events, tailor-making everything to be the perfect Paintballing party experience for juniors, and as easy to organise as possible for parents! All Paintballs (ammunition) are included for all players, with everyone being fully reloaded every set of games. This means no extra costs and everyone being able to get fully involved in every game. Being a Paintball hero can also be hungry work, so we also include a 9″ Pizza Hut pizza and a bottle of water for each player at the end of the session, keeping them well fuelled until home time.